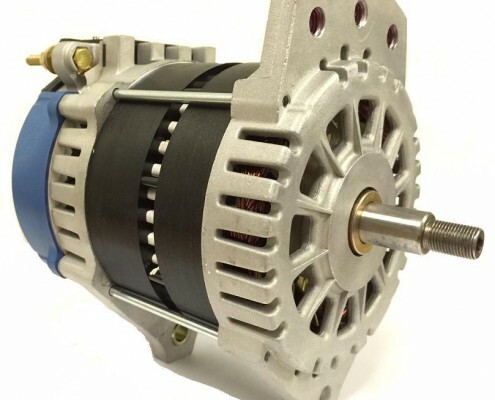 After 50 years of alternators being built using the same claw pole (Lundell) design, Ecoair Corp. has developed a new, patented Alternator that has both significantly higher power density and improved efficiency. 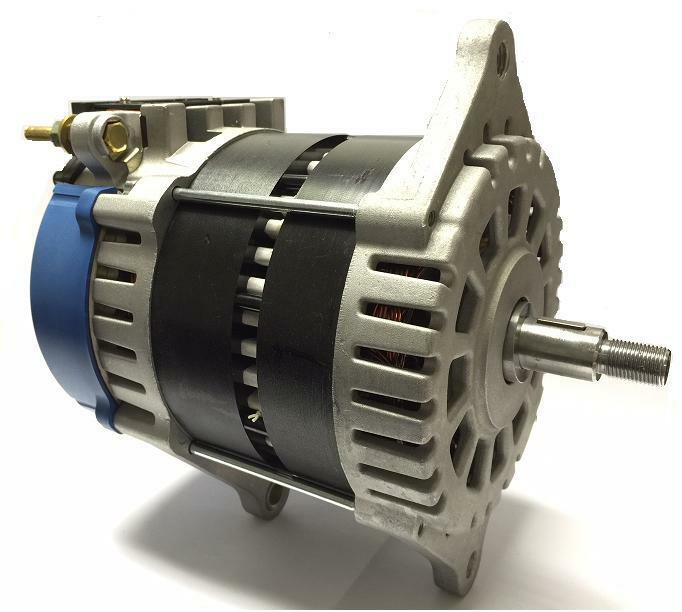 The new high efficiency alternator provides high output at both idle and high engine RPM. 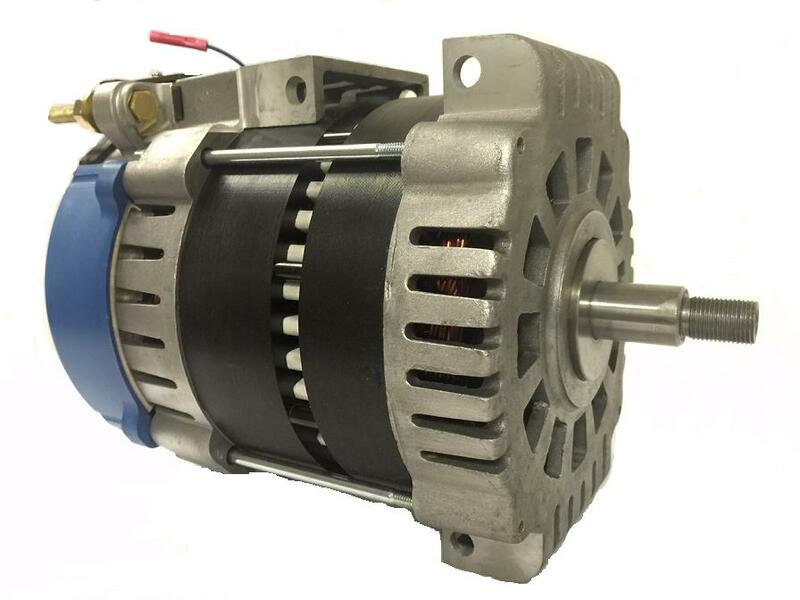 The new Alternators went into full-scale production in mid-2002 under the brand name Eco-Tech. 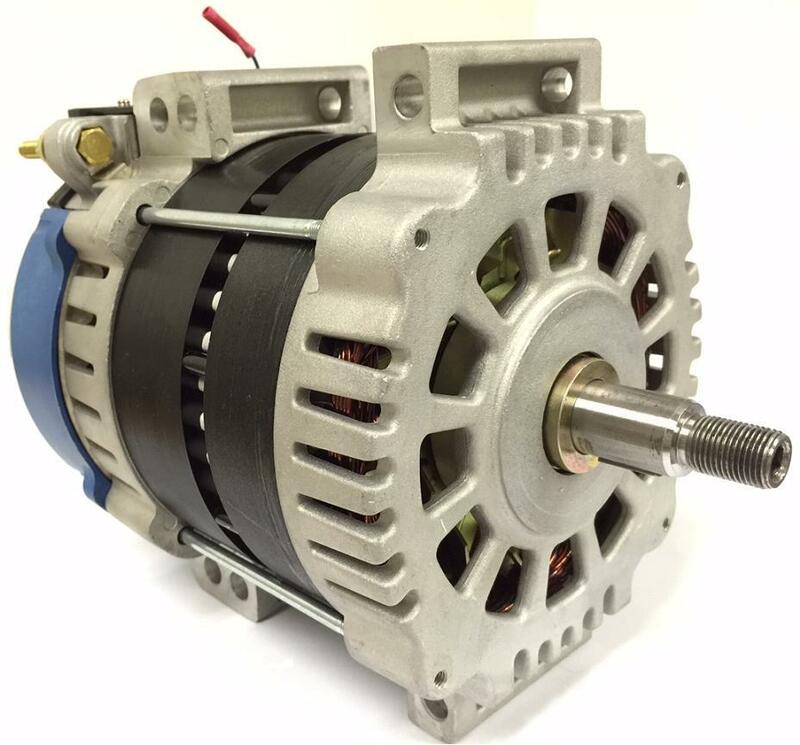 Today, Eco-Tech high amp Alternators are installed and operating in diesel powered military boats; fire trucks; ambulances; utility company bucket trucks; school, shuttle and party buses; commercial fishing boats, and other applications where high output at idle and/or at high efficiency are important. Eco-Tech J, P and T-305-I Alternators reduce engine wear and eliminate the need for all of those components, including most load shedding and high idle devices, that have been developed just because currently used claw pole, Lundell alternators do not generate the needed electrical power to satisfy the needs of many of today’s vehicles. 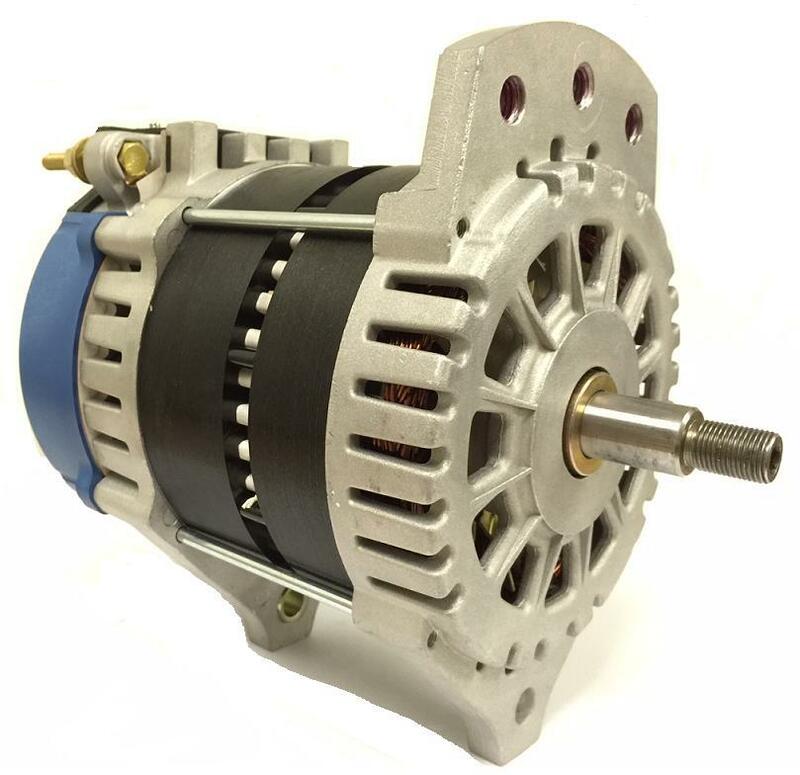 In addition, Eco-Tech Alternators provide electrical power for additional devices while extending battery life. 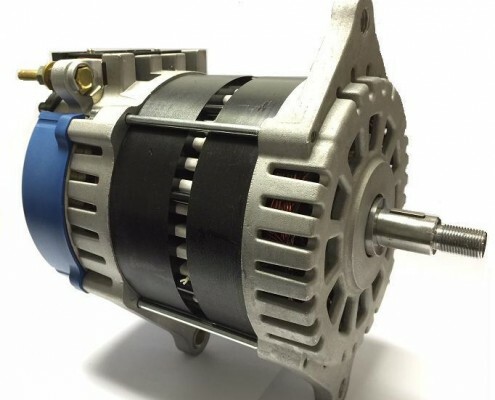 Finally, Eco-Tech Alternators are significantly more efficient thereby increasing fuel economy and reducing under-the-hood heat. 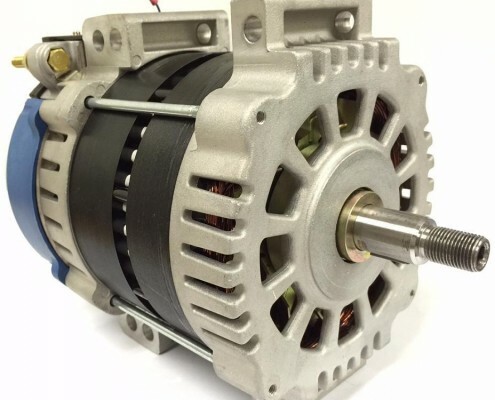 Eco-Tech high efficiency alternators are available in Pad mount, J-180 (14V and 28V), J9-180 (nine inches between the drive end pivot hole and the threaded hole), and T mount models for 7.3 liter applications. 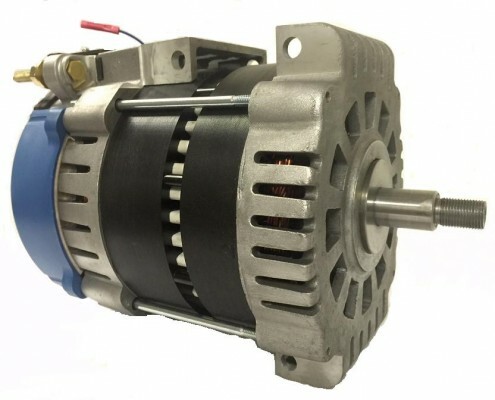 One AC tap and a D+ terminal tap have been included in convenient locations to facilitate installation for tachometers, hour meters and/or no charge light indicators for (Niehoff 600 Series Alternators) replacement. Built-in technical characteristics include: soft start, oversize brushes for longer life, electronic over-voltage protection, three high efficiency internal cooling fans, internal rectification and regulation, self-excitation, one wire hook up, and remote voltage regulation sensing.